The foreign tax credit cannot be more than your total U.S. tax multiplied by the fraction of taxable income from foreign sources. 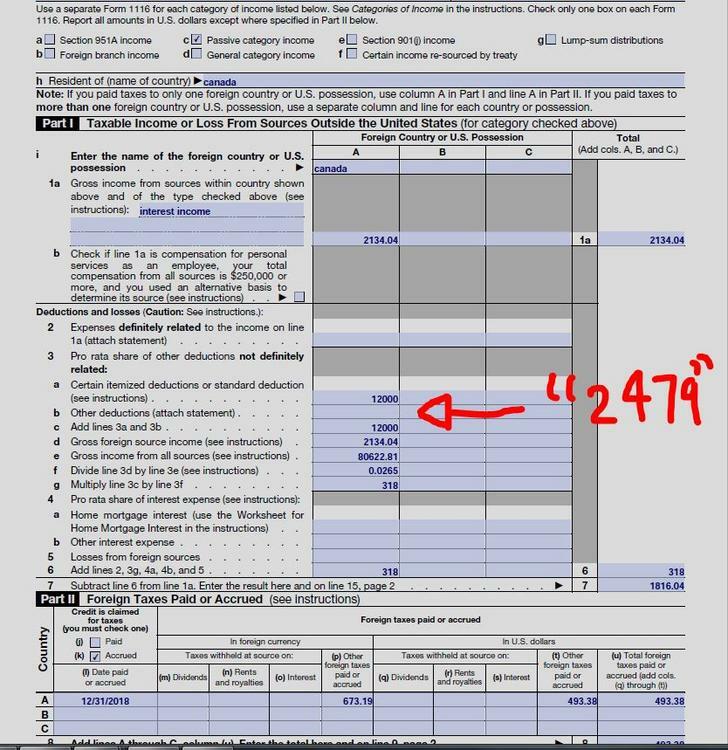 Since I have some U.S. income, it's not possible for the foreign tax credit alone to reduce your total tax to zero (which is what I am experiencing). Would I include the a capital loss on line 3b on my Form 1116's? 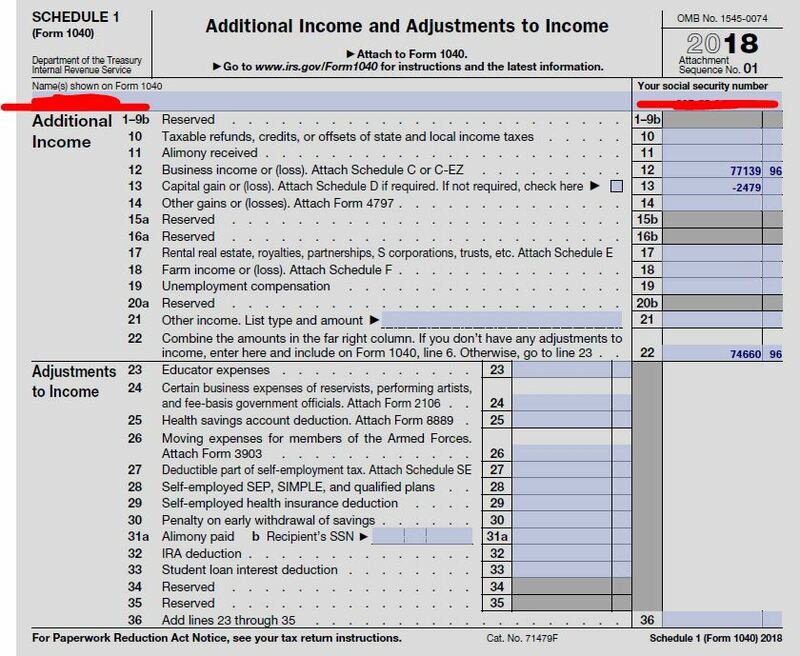 I talked to another CPA and was told: "it should go on line 5 of your passive 1116. it is a loss that is definitely related to passive income. Line 3 is for non-related expenses, which get prorated". A capital loss of $2479 on line 5 would give me a total loss of -$662.96 on Line 15 of Part III. If I am understanding this correctly this means I have no FTC's against the interest income in Canada and I would have to deduct the -$662.96 loss from my "general category" Form 1116. Form 1116 Instructions: "2. Allocation of foreign losses. If you have a loss on line 15 of one Form 1116 and you have income on line 15 of one or more other Forms 1116, you must reduce the foreign income by a pro rata share of the loss before you use any remaining loss to reduce U.S. source income. If the loss reduces foreign source income, you must create, or increase the balance of, a separate limitation loss account and you must recharacterize the income you receive in the loss category in later years. "